The newsletter The Information reports Uber’s investors are pushing Uber to sell its self-drive division to some other large player. The division has, of course, been nothing but trouble for Uber, and as I have noted several times, Uber is one of the few large players in this space that doesn’t have to build their own tech. They have the #1 brand in selling rides, and selling rides is what the robotaxi business is all about. At the same time, Uber recruited a great team (though it has lost many of them.) First they recruited many of the best around CMU for their Pittsburgh ATC headquarters. CMU and Stanford are where most of the stars of the robocar world have come from. Then they “paid” $680M in stock for Otto, which was really an acqui-hire in many ways, at least if you believe court documents. Because that stock payout required certain milestones that weren’t met, the Otto stockholders did not get their money, but Uber had to make a large stock payout to Waymo as a result of the lawsuit over Anthony Levanowski’s actions. At the same time, Uber gets a pledge that the car the team makes will be usable in the Uber network. They get guaranteed access to tech (if the new owner succeeds) though not the deep control that comes with owning it. They don’t need the deep control. In fact, it’s now better if they can stick another famous brand on it. Aside from Starship (which I am involved in) the company to watch in the delivery space is Nuro. Nuro has started a delivery pilot in Scottsdale with Fry’s groceries. The pilot will be done with regular Prius and Leaf cars with Nuro’s self drive tech, and a safety driver, not with the small no-seat delivery pod Nuro is trying to build. That pod isn’t ready for the real streets, even the easy streets of Scottsdale. 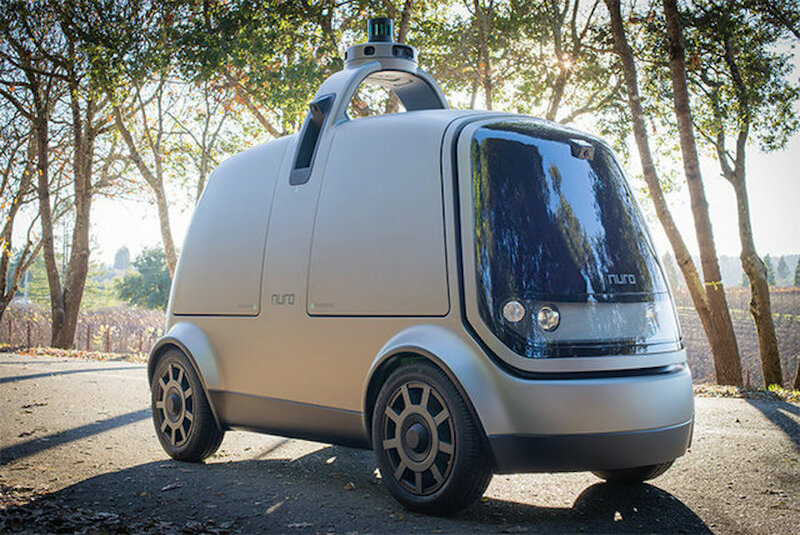 Nuro is the company to watch in on-road delivery because its founders were among the top members of Google/Waymo’s team. I worked with them regularly when I was there and they are the best. They have also raised lots of money. Driving on the road is much harder than the sidewalk, though. A road robot must be able to handle any situation on its own and get to a safe state if there is a problem no matter what. A sidewalk robot can stop in 30cm. If it encounters something it doesn’t understand, it can just stop and request help from HQ. Safety is very unlikely to be an issue, while a road robot could really hurt somebody in a mistake. The $6 price for delivery in the pilot is strange, since that’s a common price for human driven delivery.